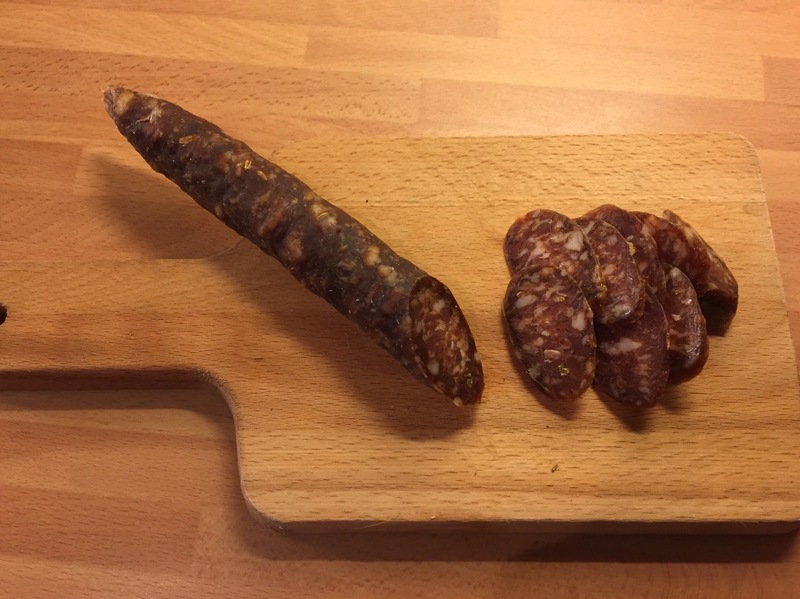 After around a month of hanging around in my porch the air dried sausage I prepared was ready ( by ready I mean it had lost around 30% of weight) . In my initial post I called it chorizo but actually didn’t put nearly enough paprika in to make a proper chorizo. So in actual fact the finished sausage tasted more like a fennel, garlic and paprika saucisson, which actually was delicious! This entry was posted on February 14, 2015 by paulb in DIY Food, Preserving.